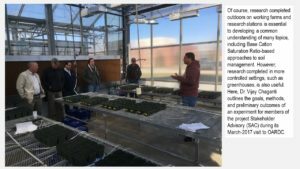 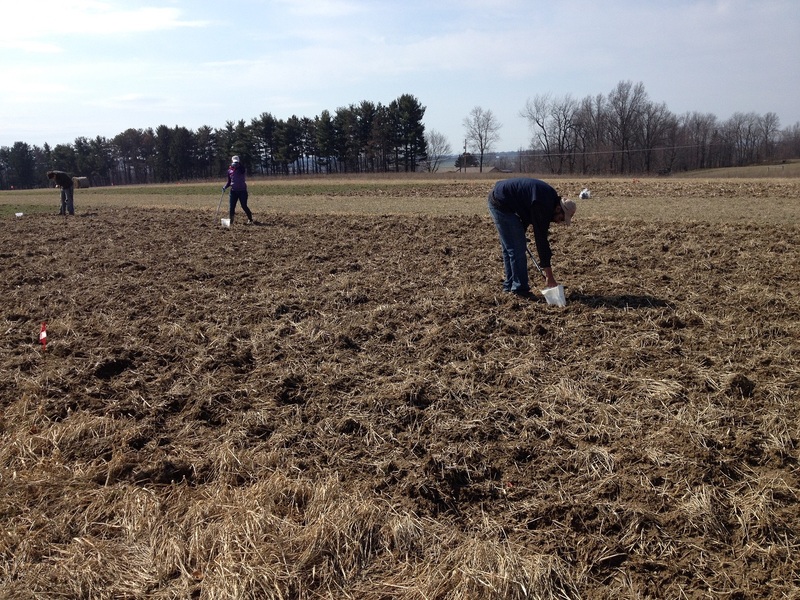 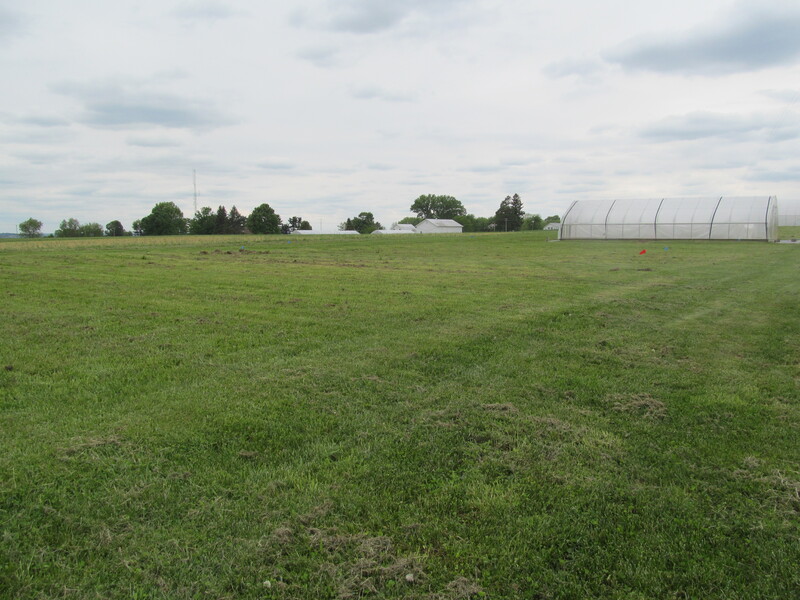 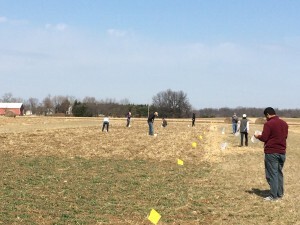 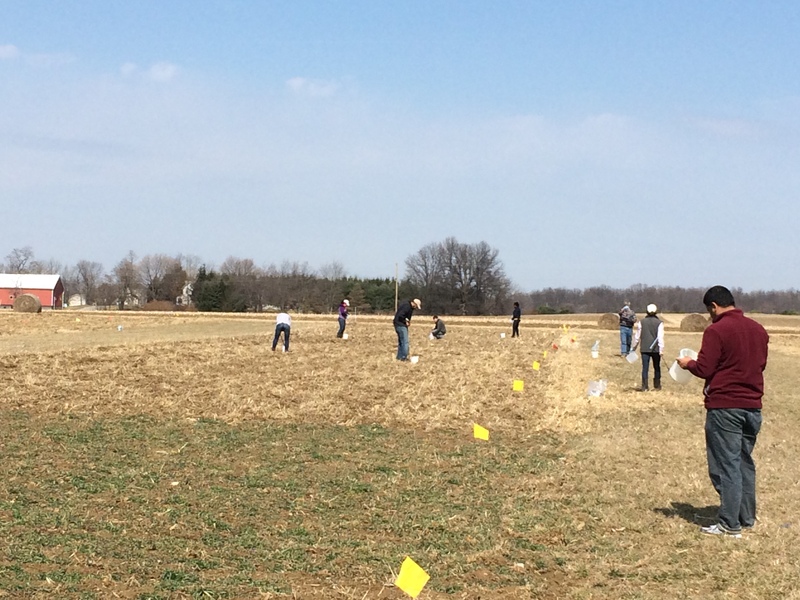 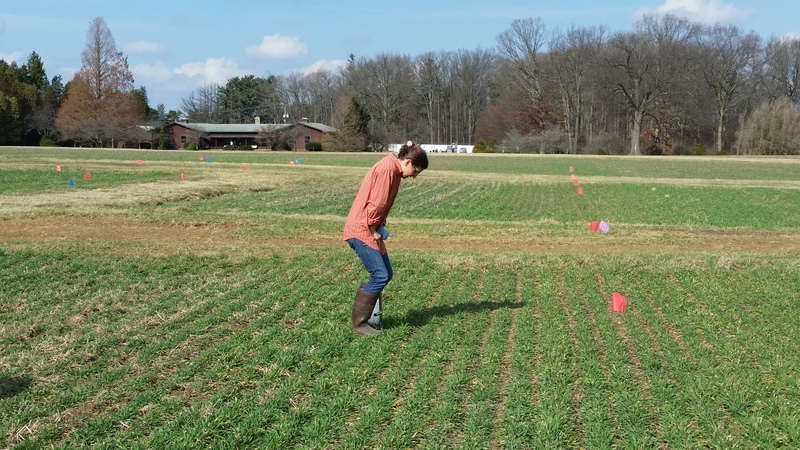 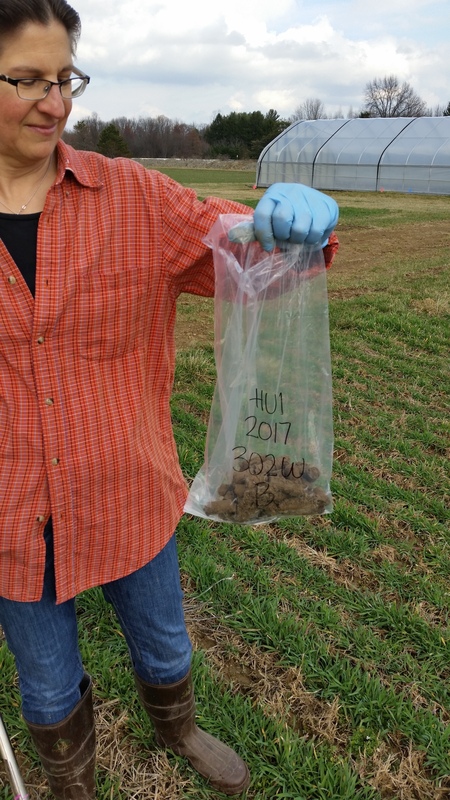 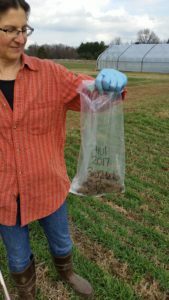 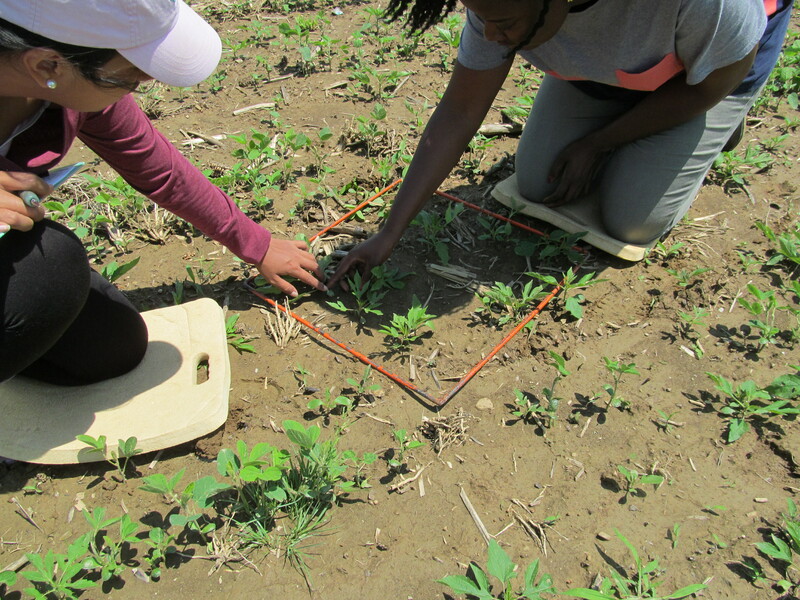 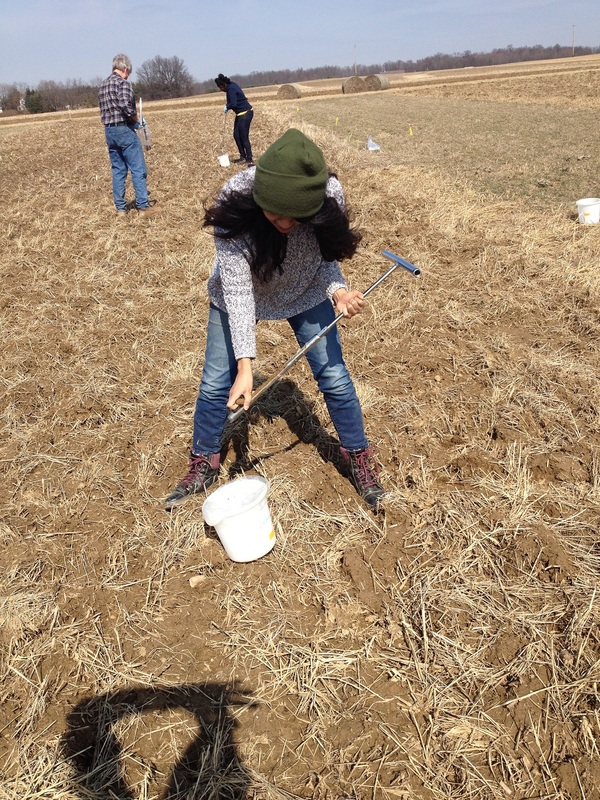 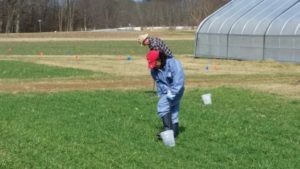 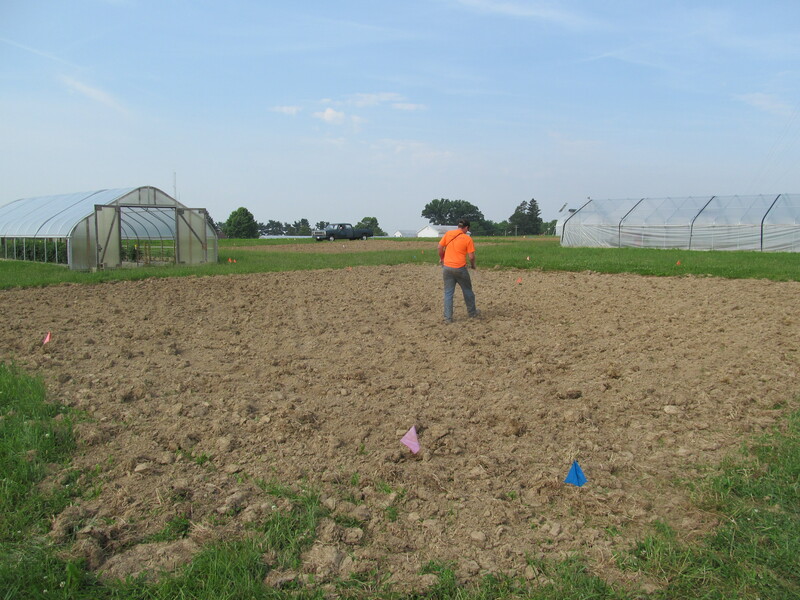 Soil samples were collected from experimental plots at the OARDC on February 23, 2017.
be used for estimating the weed seed bank and for soil health test. 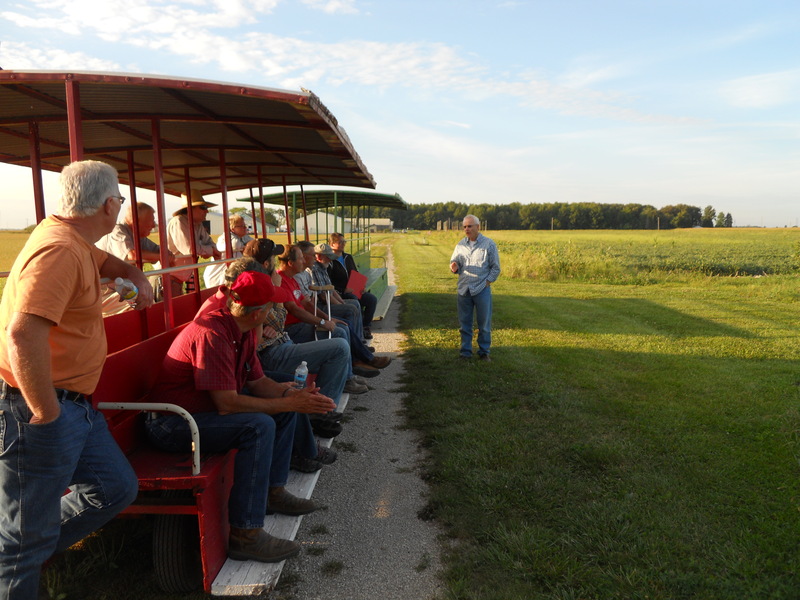 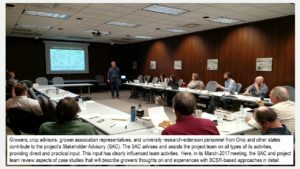 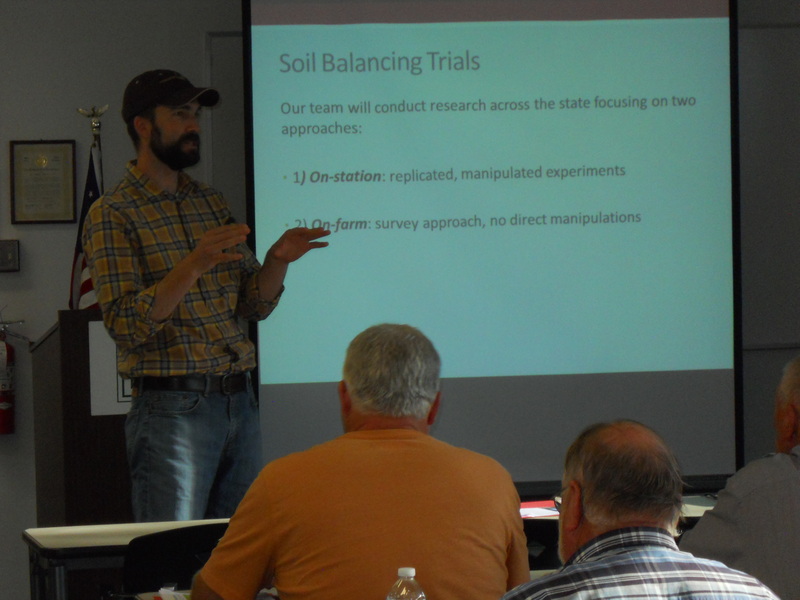 Steve Culman and Doug Doohan talk with growers and others about the soil balancing project work being done in Northwest Ohio and other sites around the state. 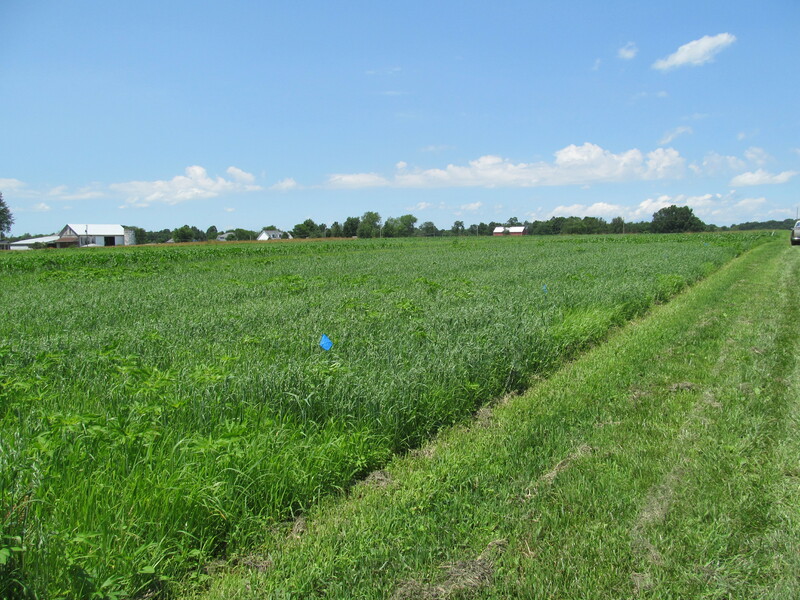 Excellent weed control is achievable even in a very wet year. 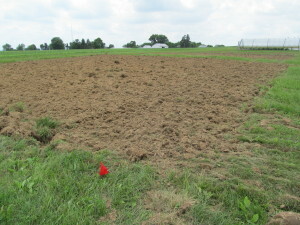 Getting the rotation right, to minimize weed-seed return in previous years, made a big difference in this soybean field on this farm in NE Ohio. 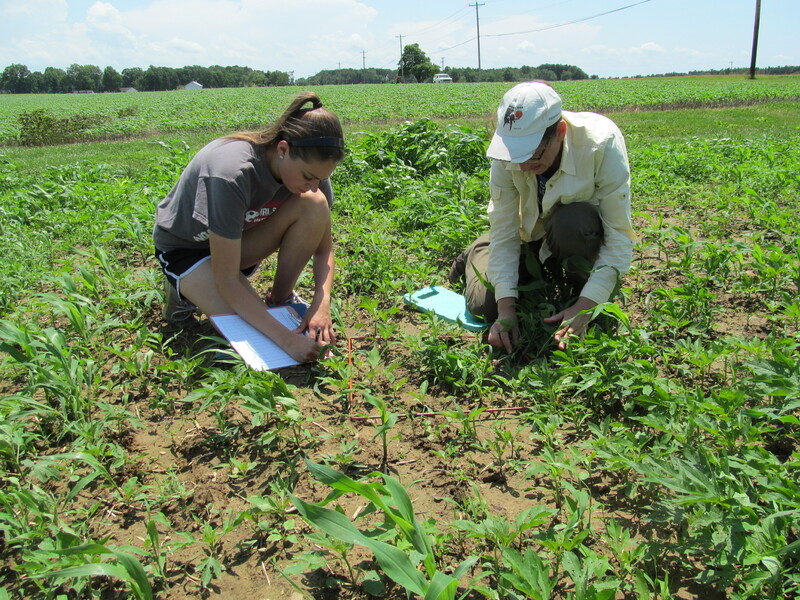 Cathy Herms and her team measure weed growth among corn and soybean at East Badger Farm at the OARDC. 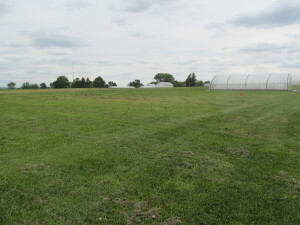 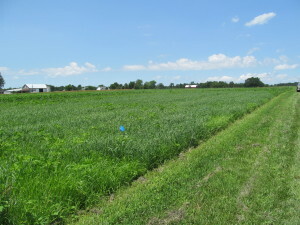 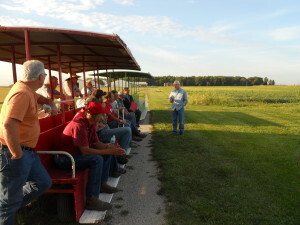 Corn, oats, wheat and soybeans grow at West Badger Farm at the OARDC. 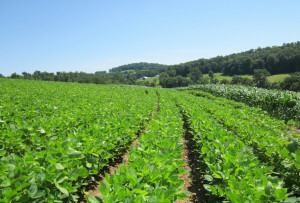 Gypsum, potash and rock phosphate amendments have been applied. Planting of popcorn, edamame soybeans and butternut squash will occur next. Experimental areas have been marked out, plowed, and disced. 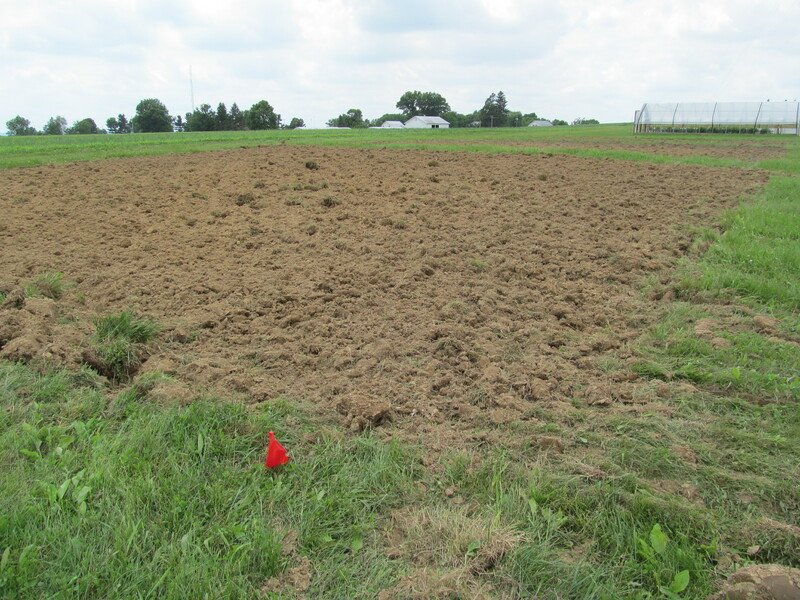 Gypsum and other amendments will soon be applied in some areas. 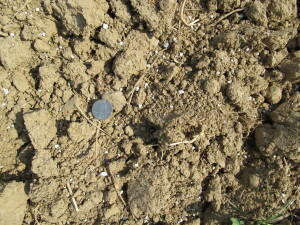 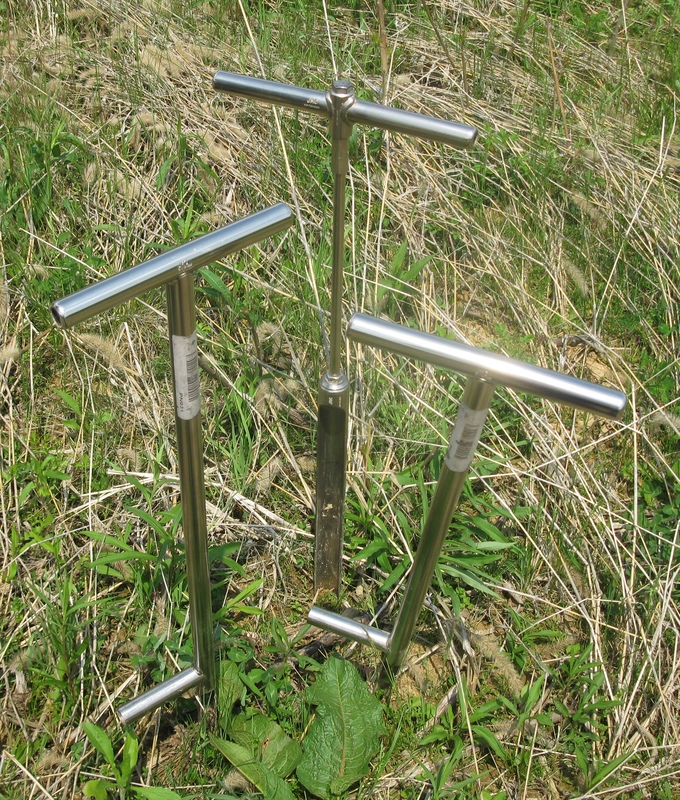 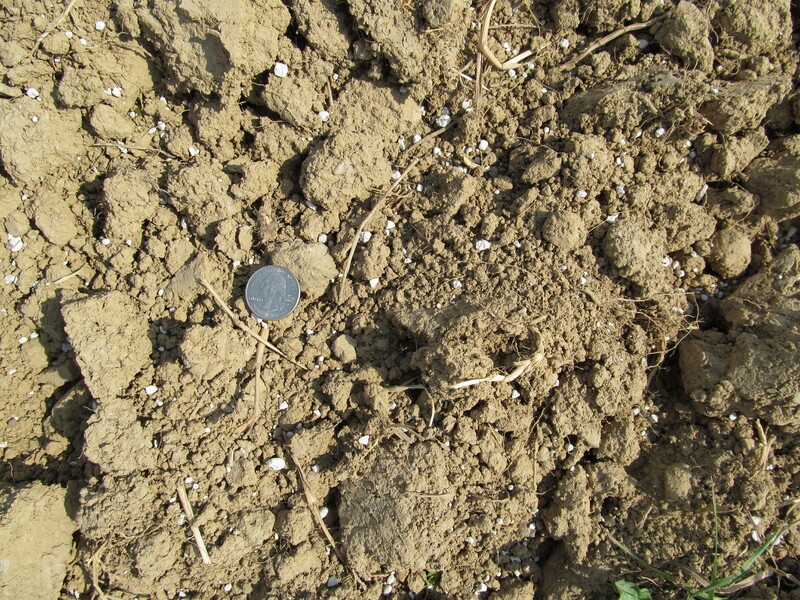 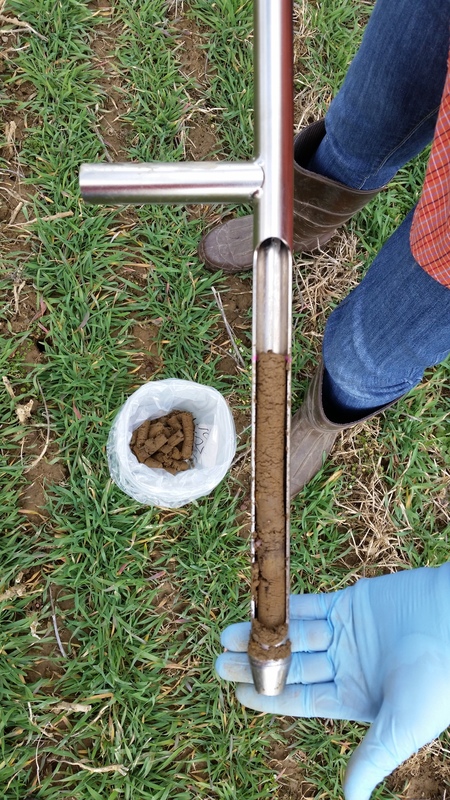 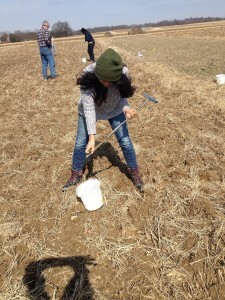 Much can be learned through soil sampling and analysis. 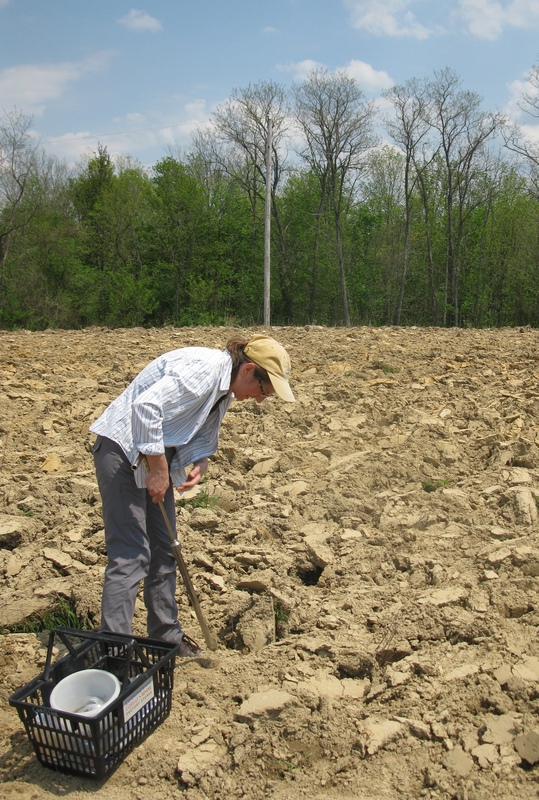 Here, Cathy Herms uses soil probes to collect samples from a recently plowed field. 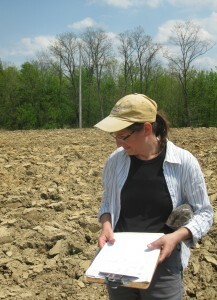 She also notes the location where samples were collected. 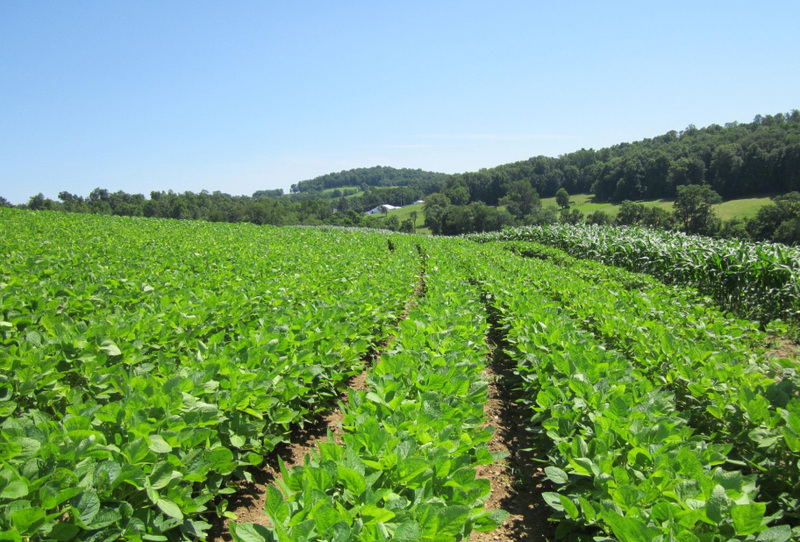 If you have trouble viewing or hearing this webinar in your browser, click here.